Book direct, this owner/agency offers an online booking facility on their website. Have a Question or Query? Contact Kate at Cornflower Cottage on 01823 431622 (mobile: 07813 821475) or complete the enquiry form. Cornflower Cottage has been superbly converted and the accommodation is very attractive and spacious. The kitchen/breakfast room has a beautiful oak floor and is very well equipped. There is an open plan feel to the living areas downstairs with the oak flooring continuing into the sitting room. This is a very comfortable room with a wood burning stove. Downstairs is a twin bedded room, the beds can linked to make a six foot double bed. There is also a stylish modern bathroom downstairs. Upstairs is a simply stunning bedroom with a five foot king-size bed and an additional full size single with an ensuite shower room. Outside the cottage is a large Mediterranean style entertaining area, with attractive outdoor furniture and barbeque, leading to a safe and secure lawned garden. The barn has lovely views across our fields. We can offer information about local country pursuits on request. 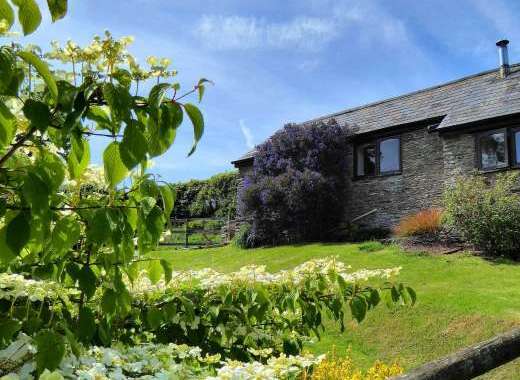 Cornflower Cottage is a superb base for a West Country holiday. The beaches of the north Somerset coast are within easy driving distance. Enjoy days out at the seaside at Burnham-on-Sea, Minehead, or head north west for surfing beaches. At Cornflower Cottage our aim is to make your holiday truly special and memorable. To welcome you there are a number of special touches including a welcome hamper of local seasonal produce, fresh flowers, fluffy towels and toiletries. If you like it’s also possible to arrange delivery of your holiday groceries prior to your arrival, we can take delivery plus unpack your shopping, get in touch for more details. It is even possible to arrange a catering service where beautifully prepared meals or packed lunches/picnics can be delivered to the cottage (additional charges apply). In colder seasons, the wood burning stove is already laid and if you notify us in good time of your likely arrival time we will have the fire lit ready for your arrival so you can be assured of a warm welcome. If you have young children we can provide most baby/child accessories and a selection of both indoor and outdoor toys suitable for your children's ages. We can arrange sporting pursuits on your behalf and also treatments at the renowned Cedar Falls Health Spa, which is only 2 miles from the cottage. The cottage has a shared indoor pool and an outdoor hot tub for added enjoyment. Welcome basket of local seasonal food for a taste of Somerset. Please visit the owner's website to find out more about the holiday cottage, amenities, surrounding area and places to visit in Somerset. 25% deposit upon booking, balance to be paid 12 weeks prior to arrival. Grade 2 Listed 16th century barn conversion. Enclosed Garden: Large Mediterranean style patio, leading to safe and secure lawned garden. Enjoy watching this guided tour of Cornflower Cottage. Excellent sporting and walking opportunities, many National Trust properties nearby, North and South coast beaches, many faboulous days out for children. The County town of Taunton provides many amenities including Theatre, Cimena, Ten-Pin Bowling, 1st Class Cricket, Horse Racing and great shopping. Recommended Places to Visit: City of Bath and the Royal Crescent, Exeter, Bristol, the small cathedral city of Wells, mystical Glastonbury, the wild expanse of Dartmoor. Recommended Places to Eat Out: Many top quality Village Inns and Restaurants. County town of Taunton has many lovely eateries. Local Sports: Various country pursuits can be arranged. Locally there is Horse riding, Water sports, Golf, Surfing. 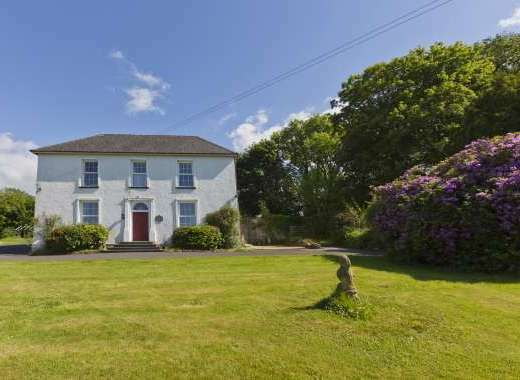 Gorgeous Period House with huge private gardens, wonderful sandy beaches nearby. Honeysuckle, pet friendly couples' cottage with lovely valley views.